Sarah Fogg and I compile a music zine together roughly once a year called This Is Not A Serious Music Publication. 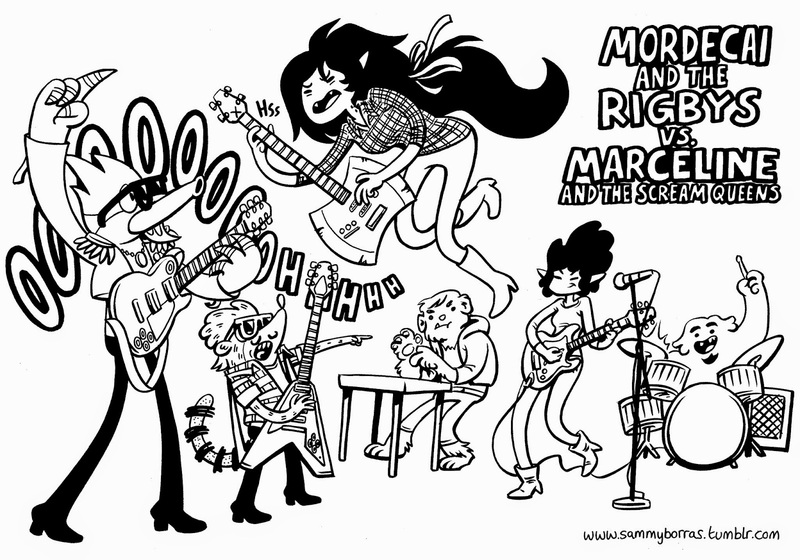 We will print the next issue once we have enough comics, articles, gig sketches, illustrations to fill a new one. These are just some previews of some of the things I've started this year. 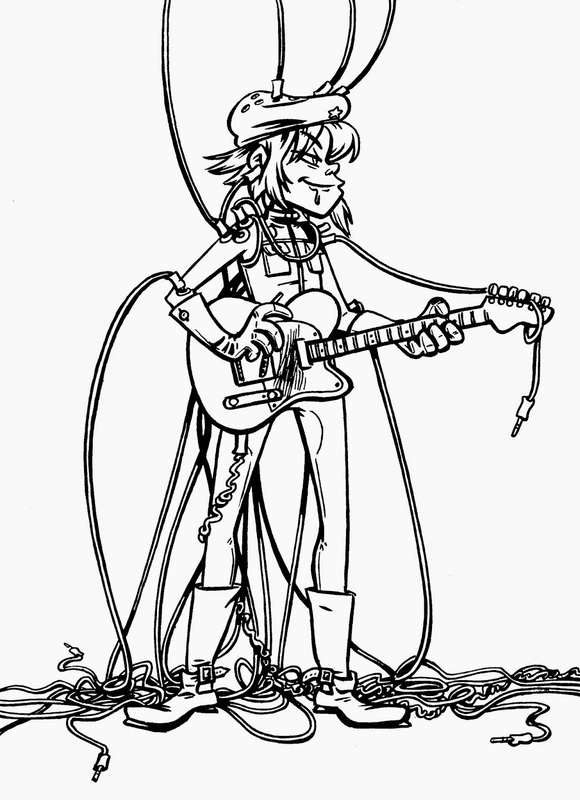 Cyborg Noodle from Gorillaz, a comic about the Franz Ferdinand tour and Mordecai and the Rigbys VS. Marceline And The Scream Queens. Last year's issue is still available to order through Etsy. 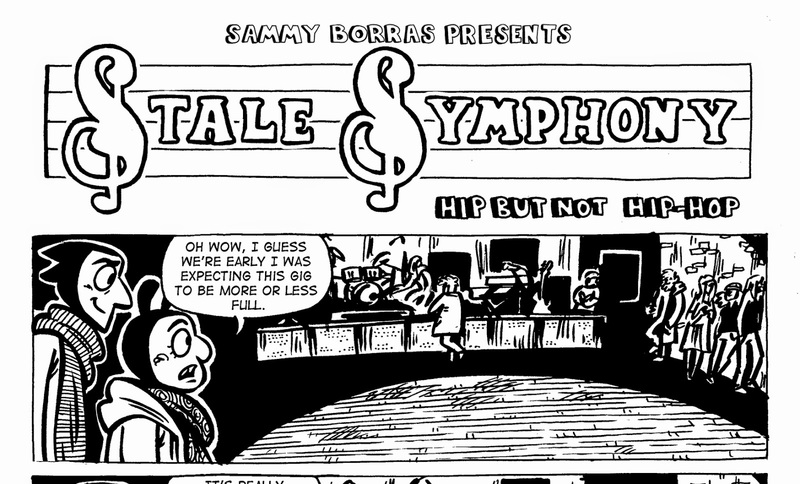 Stale Symphonies are a series of short gag style comics. Most of the stories have been created with a collective zine or anthology in mind. 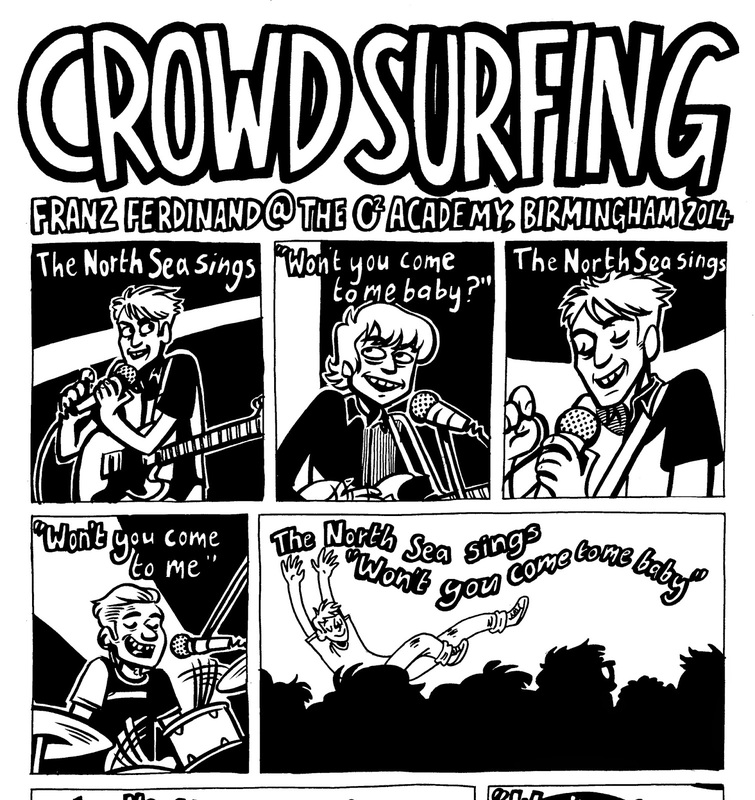 This one has been submitted to the latest issue of Leamington Zine because the theme was music to coincide with Record Store Day. I have also contributed an illustration of local band The Rosenberg Appeal.You can find a list of their stockists on their Facebook page and read past issues online here.